We are commercial roofing contractors you can trust. When your commercial building needs roof replacement or repair, it is important for you to find a roofing company you can trust to get the job done quickly and efficiently. You also want to find someone that will give you a fair price. 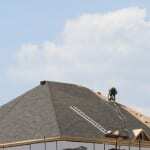 At Slippery Slope Roofing, we are the perfect commercial roofing contractors for the job. We strive to complete each job quickly, efficiently, and we do it all for prices that are affordable. All commercial roofing contractors are not the same. Some contractors take on many jobs at once, making them take longer than they should because crews are hopping from one job to the other dealing with whatever problem is most pressing. At Slippery Slope Roofing, we do one job at a time from start to finish, which allows us to focus on your job and only your job. We are there every step of the way to answer any questions you might have about the process, and we also work hard to get your roof repaired or replaced as quickly as possible, so you do not lose any business because of the construction. Another great bonus to hiring us at Slippery Slope Roofing is that we are accredited by the Better Business Bureau and are fully insured by the WSIB. This means that we will take on all the liability for all of our projects so that you do not have to worry about anything in the event of an accident. It also means that we have gone through extra training to obtain a license and have to keep up on the current construction trends. If you are looking for trustworthy commercial roofing contractors in the Midhurst, Ontario area, contact us today at Slippery Slope Roofing. We provide commercial roofing services, like roof replacement and commercial roof repair, and we do excellent work. You can trust us with all of your commercial roofing needs!